Local Private Tour Guide | Rome, Italy | Marisa F. Ciao!! 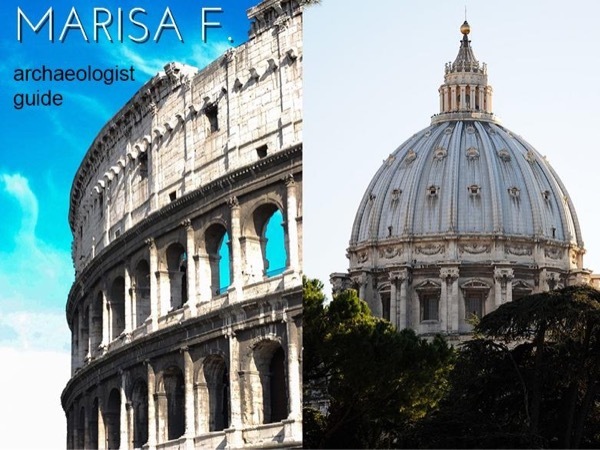 I'm Marisa, archaeologist and qualified guide of Rome. I attended the Specialisation School in Archaeological Heritage, an Italian post-degree diploma, and in the meanwhile I started studying to fulfill my dream, becoming an professional tourist guide with a regular certification. . . basically to do what I love (walking around Rome) as a job! In Italy, tourist guides are better if local and 100% certified. . genuine as a good wine! As an Archaeologist, my specialty is the Roman History and Ancient Architecture. I love to share my knowdlege and passion, my guided tours are suggested for history lovers. Each tour is a journey through the ages to discover the history of the Roman Empire and its majestic shrines, with me as your guide, ready to reply to all your questions. If you love history, walking and gelato. . I'm the perfect guide for you! In addition to my credentials, I'm an open-minded, patient and friendly girl. I like to consider myself not just a tourist guide, but a PERSONAL tourist guide because my clients are travellers, friends to help and to welcome. . not only a number in the big crowd of tourists. With me as your personal tourist guide, you'll have an historian and expert at your service, but especially a new Roman friend: we'll discover together famous sites but even local traditions, culture and food (gelato especially!). Please write me a message before booking, so I can confirm my availability and suggest you the perfect timing and suggestions to avoid lines, the heat or the crowd. 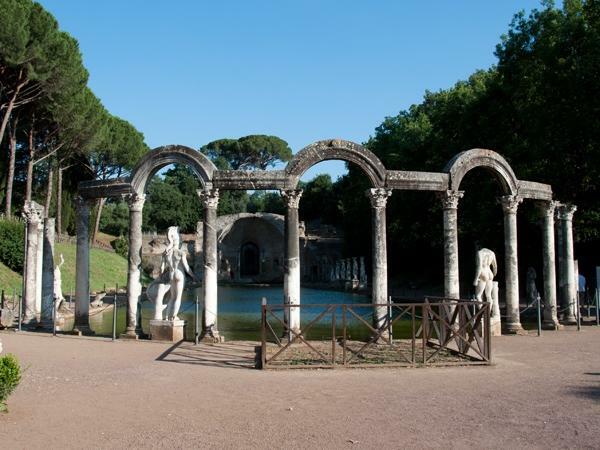 Below, you'll find only a selection of my archaeological walks of Rome and my Vatican tours. I keep on studying Rome and its history, so more tours on requests! In Rome to work as a Tourist Guide you need a badge/certification. Touring without this badge it's ILLEGAL! If during your tour, your guide is stopped by police because she/he is unauthorized, you'll waste money&time. So be sure to hire only a Professional&Qualified guide, you'll have a better service and a guarantee of legality. More, you'll help the local economy! I'm not a driver. I provide WALKING tours, with a special focus on Art and Archaeology. If needed, we can take cabs or I can arrange for a separate car and driver. 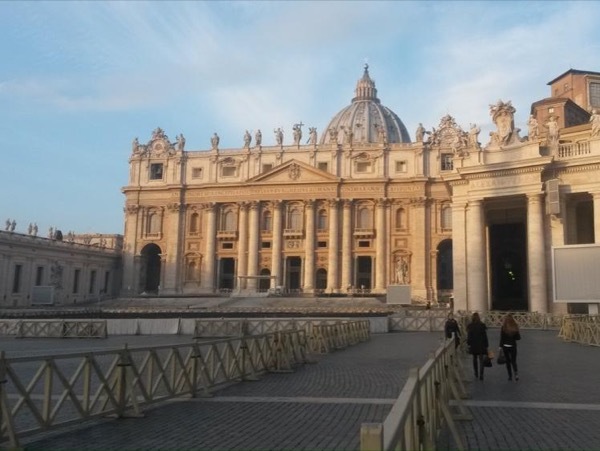 Beat the crowds and enter at the Vatican at 7.15 am!